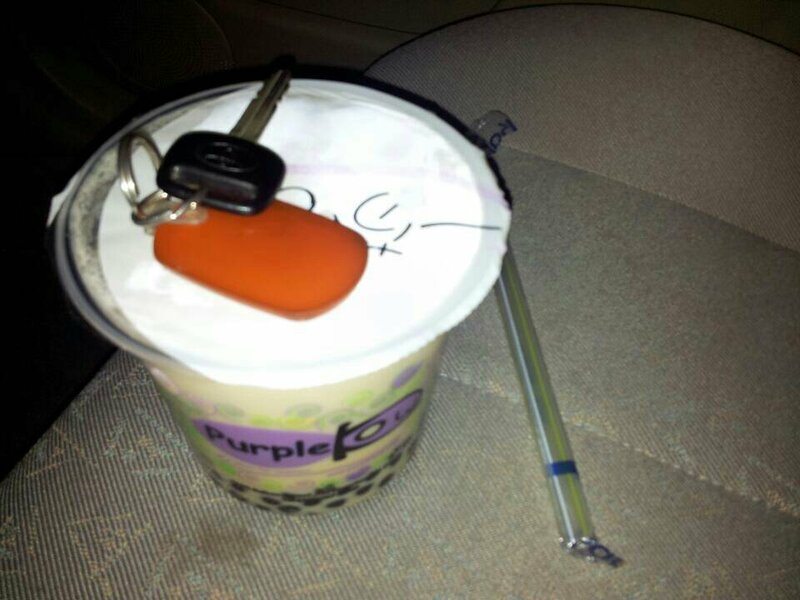 I’m a little hyper tonight, and its definitely due to me downing a Purple Kow. Honestly not a good decision, although I had the 80% sugar option, it wasn’t that good! I don’t see the hype, but hey, thats just me, you’re free to like what you like. And for those that read this and don’t know what Purple Kow is, its a popular BOBA place near where I live in SF. And for people that don’t know what BOBA is…its bubble tea. And for people that don’t know what bubble tea is…well, just use Google, please? That said, I’d really like to get back into updating this thing. I just feel like its nice to update once in a while, and yet it just seems more and more like life just doesn’t have time for as frequent updating as I used to. One thing that I noticed right away is that I sometimes miss checking the stock market (something I used to do RELIGIOUSLY daily), and even more , I am not up to date on ALL the latest Apple rumors. Man, I literally used to be THE GUY when it came to even the smallest details about Apple and what happened (or might have happened) behind the curtains. Yes, its true that I now work full time, and have since May of 2011 (so if you follow me, maybe you have noticed significantly less activity since around then? I don’t know, but I don’t like the idea of work taking over my life, if that is indeed what happened. To be honest, its my first “real job” if you know what I mean. You know what? Although I really was in a good position a few years ago to try this, I figure “better late than never”. I want to start posting videos frequently on Youtube again. Lets say I’ll set a goal of a certain amount of activity on my channel, and for the moment lets measure that as subscribers…(since its easier to measure that way). So, I currently have about 280 subscribers, give or take a few, although almost none of those are active and would actually react to a new video I post. Lets set a goal of about 1000 by the end of 2014, and 10000 by the end of 2015? I don’t think that is too farfetched, despite much higher competition than when I started back in 2006 (and slowly grew my subscribers to the 250 ish it is now! To be honest, I didn’t expect even that much success unless I had a viral hit or struck it big by hitting the front page jackpot (which at the time ~5 or 6 years ago, guaranteed about 100k views and over 1000 subs within a week easy. The thing is, I actually really enjoyed posting videos on Youtube, but I really just…STOPPED a couple years ago. I noticed a lot of my favorite Youtubers also don’t post anymore. It seems like it happens to most of us, unless you ‘make it big’ and it becomes your full time job. It would be nice to be able to do something like posting videos for a living, even if it was a lot of work, I’m sure I would enjoy it. I also just recovered from a cold, so although I feel about 85-90% better, I have this stuffed, raspy voice. I don’t know if listening to it makes your eyes water like it sometimes does to me when I hear someone like that talking, but I feel almost like I should make a video because my voice is so special sounding right now LOL. Am I weird? Two of my newest friends would definitely say yes. They think everything is weird, or at least like the word enough that they use it every chance they get. One of them used to laugh every time she used the word until her face changed color to red. Hopefully, more updates both here and on Youtube…and soon!